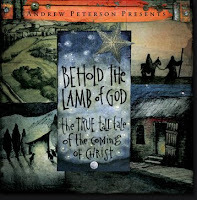 Readers of this blog will know that I have long been a fan of Andrew Peterson, sparked first by witnessing the incredible Behold the Lamb of God program, an event that both anchors the Christmas holiday in biblical history and transcends the season all at once. Needless to say it now anchors and transcends the season each year as well. Now, some people think the Bible is a book of rules, telling you what you should and shouldn't do. The Bible certainly does have some rules in it. They show you how life works best. But the Bible isn't mainly about you and what you should be doing. It's about God and what he has done. Other people think the Bible is a book of heroes, showing you people you should copy. The Bible does have some heroes in it, but (as you'll soon find out) most of the people in the Bible aren't heroes at all. They make some big mistakes (sometimes on purpose), they get afraid and run away. At times, they're downright mean. 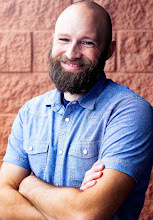 No, the Bible isn't a book of rules, or a book of heroes. The Bible is most of all a Story. It's an adventure story about a young Hero who comes from a far country to win back his lost treasure. It's a love story about a brave Prince who leaves his palace, his throne-everything-to rescues the ones he loves. It's like the most wonderful of fairy tales that has come true in real life! You see, the best thing about this Story is-it's true. It takes the whole Bible to tell this Story. And at the center of the Story, there is a baby. 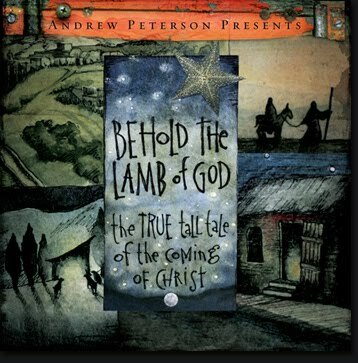 Every story in the Bible whispers his name. He is like the missing piece in the puzzle-the piece that makes all the other pieces fit together, and suddenly you can see a beautiful picture. Well, that put me over the edge and I had to see this book for myself. And it is everything that all the buzz has been making it out to be. 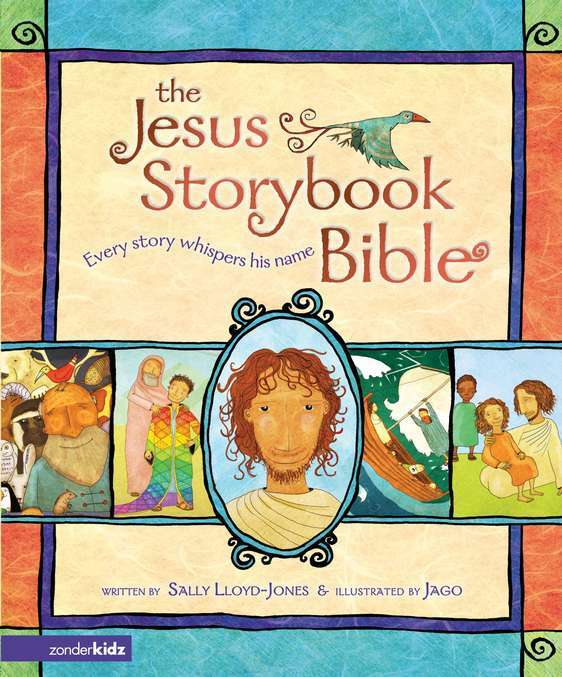 The theology is relentlessly Gospel-centered, the writing is eminently readable, and the illustrations are delightful (I'm allowed to say that, I have a two-year old). I look forward to reading this Bible to my daughter for years to come (and reading it for myself in the meantime). Sally Lloyd-Jones thanks Tim Keller in the acknowledgments and there is no disguising his fingerprint on this work (I mean that as a compliment in every way). My only concern is that the book will actually last long enough that my daughter can read it for herself. 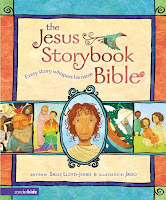 The Westminster Bookstore is selling The Jesus Storybook Bible for the best price I could find online: 43% off the list price at $9.75. If you'd like to see more, there's a cool looking video about it on YouTube.